Imagine the whole family is sitting on the couch in the living room on a weekend evening. Mom is the only one who is watching the drama on TV. Others’ eyes are fixed on the smartphones in their hands – dad is streaming live sports via mobile, and children are watching games and beauty videos on YouTube. Watching your favorite contents on your mobile phone has become commonplace in these days. 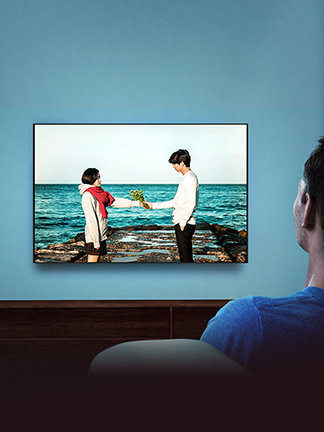 Part of your daily routine, CJ E&M DIA TV is here to bring you closer to the future of new contents. and "contents" along with it. We asked Yoon Young-geun who has been working together with the DIA TV partner creators in the CJ E&M MCN business team about MCN and DIA TV. ▲ Star beauty creator Thin can change her look the way she wants! ▲ Star creators "Englishmen" Josh and Ollie are familiar with speaking in Korean and Korean culture! ▲ Star creator Heopop is dashing to the end! ▲ Sassy star creator group Cuckoo Crew will make you laugh your head off. YouTube Stars Great Library, Thin, Englishmen, Heopop, Cuckoo Crew and Banzz...! If you have ever watched their videos, you know they’re fun. It’s fun to choose videos that suit your taste on your mobile phone. Creators interact with viewers in real time, and show them things about what people feel in their daily lives, what they wonder, and what they are interested in. If you post a comment about what you want to see or what you want to know, you can sometimes receive a response. During this process, people feel that their ideas are involved in the “creation” of creators. 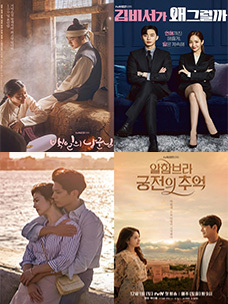 The creative contents made by creators feature "bilateralness" and "no boundaries," setting themselves apart from ordinary one-sided broadcast programs. These features define the future of contents. With the creator as its partners, DIA TV, the biggest MCN in Korea, is going to make the potential of future contents. DIA TV forms a partnership with creators who make and post their own online contents on YouTube to help them do creative activities in a free and better work environment. This is MCN in a nutshell. 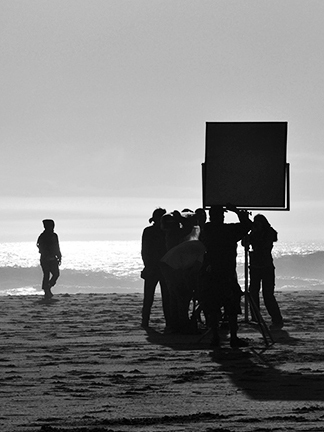 Simply put, creators and DIA TV work together like entertainers and an entertainment management agency. What DIA TV emphasizes above else is maintaining a "healthy contents ecosystem." Some online contents are easy to grow on the Internet in an unhealthy way. Indeed, some online contents creators became controversial due to their inappropriate contents. DIA TV puts its commitment to keep the contents ecosystem healthy by promoting the quantitative and qualitative growth of the contents market. As of February, 2016, DIA TV ranked 30th among global MCN businesses, following the launch of the first MCN business in 2013 in Korea. Today, DIA TV matches world-class MCN businesses such as BroadbandTV, Bebo, Machinima and Fullscreen. DIA TV is truly the number one MCN in Asia. DIA TV has 645 teams of creators as its partners, with 36 million subscribers and 730 million views a month on YouTube. Creators demonstrate a variety of interests: games, entertainment, beauty, food, music, kids and globalization. With DIA TV, they run their personal channels and explore their interests. What kinds of practical support does DIA TV provide them with? "In addition, we engage in PR for our creators. We provide not only contents promotion, but also production support and solution in order to create contents with better quality. If creators think their abilities to express their ideas are limited to content creation, photographic experts from DIA TV can help them. Then, the creators can produce a more sophisticated, stylish video, with better image design." The DIA TV production studio is located in Seogyo-dong, Mapo-gu, Seoul. This is a place for creators produce and edit their videos with professional devices and get professional video production training so that they can make their own videos. The studio offers over 15,000 free background music resources for video-making. ▲ Happy New Year's party with creators! There are also chances for creators to meet together in person in order to build a professional network for collaboration and creative sharing. They actually share their own know-how through conferences and workshops for greater creative synergies. ▲ Offline networking is another power that creators enjoy! 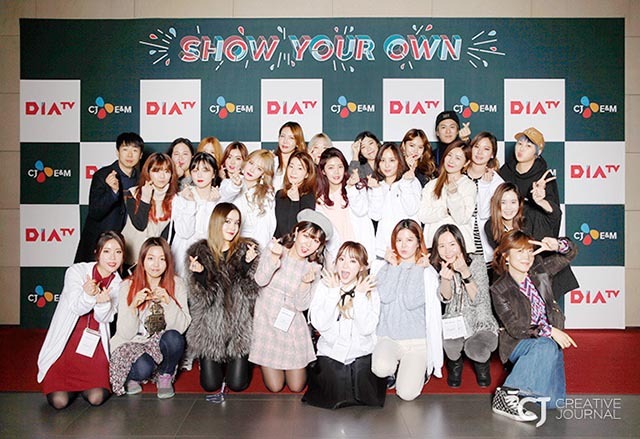 DIA TV has played a major role in drawing various contents through the combination of public and cable broadcasts, and creating "branded contents (which have information and a story with an aim of promotion)" by working in collaboration with brands. In the process, DIA TV is establishing a richer and more diverse contents pool. The profits are based on views and are sub-divided with creators. Creators who make strategically well-made contents with the support of DIA TV can get more views and more subscribers. The profits generated through this are then divided with DIA TV. DIA TV uses the profits to nurture and support creators, and to find new faces by holding open auditions. In this mobile era, it is very common to use a personal smartphone to watch their favorite videos whenever they want. The smartphone means it’s now no longer necessary to cancel the appointment with your friends or lovers to watch your favorite TV drama at home. Even the definition of the "golden time," related to the highest ratings in terms of public TV broadcasters, has also changed. The golden time for visual contents platforms such as YouTube and Tving is in fact 24 hours. The time when you enjoy watching your favorite videos is your own personal golden time. The goal of DIA TV with 645 partner creators is to produce online contents that bring the audience full of happiness and a variety of enriched information. The future of contents has come much closer and faster to us than we ever expected. DIA TV and its creators will work together to lead the future.